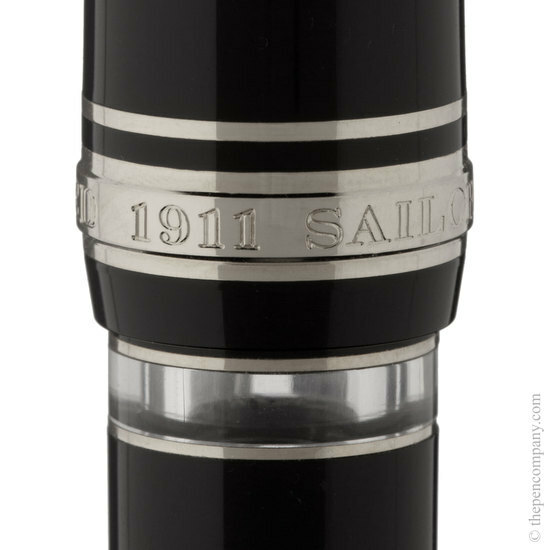 The 1911 Realo is a piston filler version of the 1911 Large fountain pen. 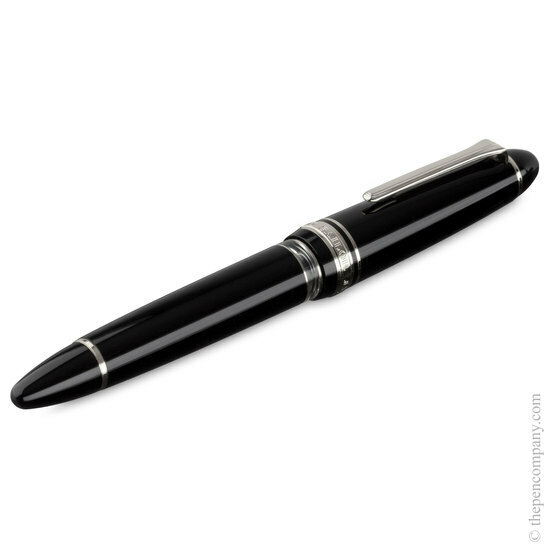 The pen is filled by twisting the end of the pen to activate the piston mechanism within the pen. 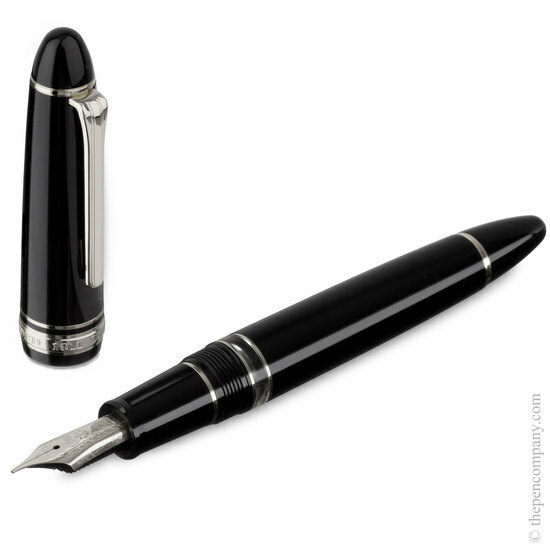 As such this pen is only suitable for filling from bottled ink or an inkwell and will not accept cartridges. Featuring Sailor's 21 carat gold nib with 24 carat gold plating. The pen trim is also plated in 24 carat gold. I've recently acquired this 1911 realo piston filler pen. 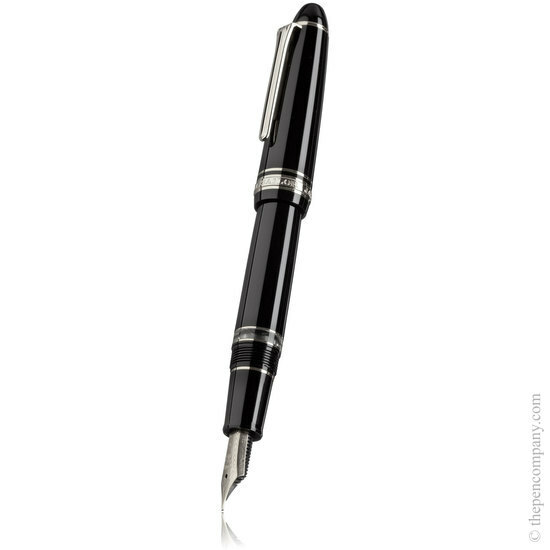 It's very high quality and it looks like the montblanc pen but not as costly. At this price you get a lot of pen for your money. It has a 875 or 21k gold nib that writes beautifully. It holds 0.9ml ink when filled. pmma acrylic resin barrel and cap is really lovely. Weight is 20g. The Only thing is Japanes nibs tend to be one size smaller than the western nibs, so if you want a medium you'll need to order broad. Challenging to find piston-fill pens with silver (as opposed to gold) trim. Compared to a Pelikan 405 this pen is thicker and heavier (not in a bad way), the ink window much clearer. Nibs write on the finer size, where I had a Fine with Pelikan I'm happy with a Medium with Sailor. 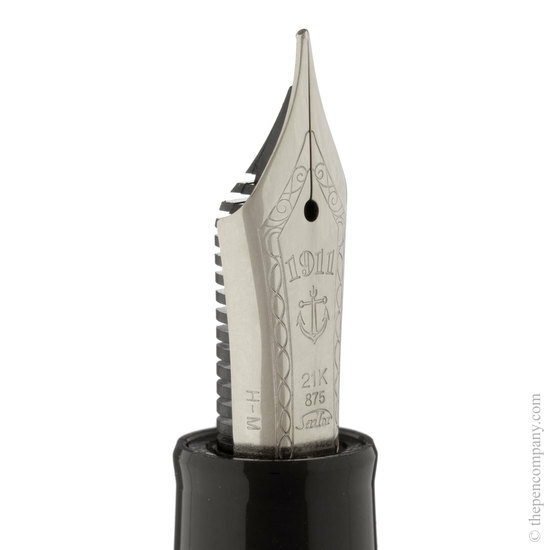 The nib is stiff providing a very smooth writing experience, the flow is consistent and wet enough to have character but not so much as to cause a bother. Very happy with this pen, now my daily writer.